Introverts often make the best business leaders but do not recognise it. Embrace your introversion and your true self through The Anxious Executive. Society's views on Introversion and anxiety are still evolving, especially in the business world. Introverts often make the best business leaders yet they often do not know it, they often do not understand the unique set of skills they have or they fail to embrace their Introversion. The Anxious Executive has been established to help you understand and embrace your Introversion, be true to yourself and to be your best and most successful self in the business world. Alternatively, if you simply want to understand more about your Introverted colleagues or team members, then The Anxious Executive's workshops and coaching services can also help you understand how to work successfully with Introverts. The Anxious Executive offers a wide range of coaching, mentoring and development services including introductory workshops, full day workshops, bespoke company and university workshops or individually tailored, one on one coaching and support. Each of these workshops or coaching sessions offers you or your business the chance to learn more about Introversion, working with Introverts and understanding and embracing your Introversion. If you are an Introvert or just want to understand more about introversion and working with Introverts, why not take the first step and join us at one of our regular workshops? We offer three different types of workshops, coaching and support. All of our group workshops are conducted outside of normal business working hours to allow you the time to think clearly and work on yourself. Why not join us for one of our monthly Introductory Workshops or a full day workshop? We can also develop company, university or NGO workshops tailored to your needs. 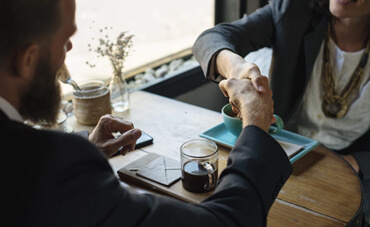 If your time is limited or you prefer the privacy of individual coaching and support, we also offer one on one coaching and mentoring where we cover the topics that are the most important to you, your career or your business. Our Introductory Workshops offer you the chance to understand, explain and embrace your introversion. Our full day workshop expands on the topics introduced the Introductory Workshop to help you understand, explain and embrace your introversion in more detail. Individual, customised one on one training, coaching and support is available. We would love the opportunity to discuss your needs in person. The ‘Chief Introvert’ of The Anxious Executive is Andrew Parker. Andrew is an Australian national with extensive experience in senior marketing, sales and commercial roles in Australia, US, Europe and Asia. Andrew has lived and worked in Australia, Europe and Asia and over 20 plus years, Andrew has gained deep executive and leadership experience proving that Introverts can be successful in business.